All things considered would you buy another C4? I am very happy that I bought this specific C4. I took my time shopping and this is the car for me, for now. Someday I will definitely sell this car. Not sure if I will get another sports car after that, but if I do, it will probably be a C7 Stingray or (preferably) Grand Sport. Yes. I'd love to have a 92-95 ZR-1 beside the CE LT4 in the garage. Then, add a Lotus Esprit to the garage. Maybe a 1994 Esprit, no V8. I am sure there are a few of us that believe we already have a C5 or C6 with the money we spent on our C4. But it has grown on me and I enjoy driving it and get many compliments. I was at one of the car local car shows Saturday surrounded by mostly C6 & C7's and was surprised how many people came up and said how much they liked the car and took pictures of it. Instead of a different Corvette I added an 06 Pontiac GTO to the fleet. A lot more easy for a big guy like me to get in and out of. New to this forum. 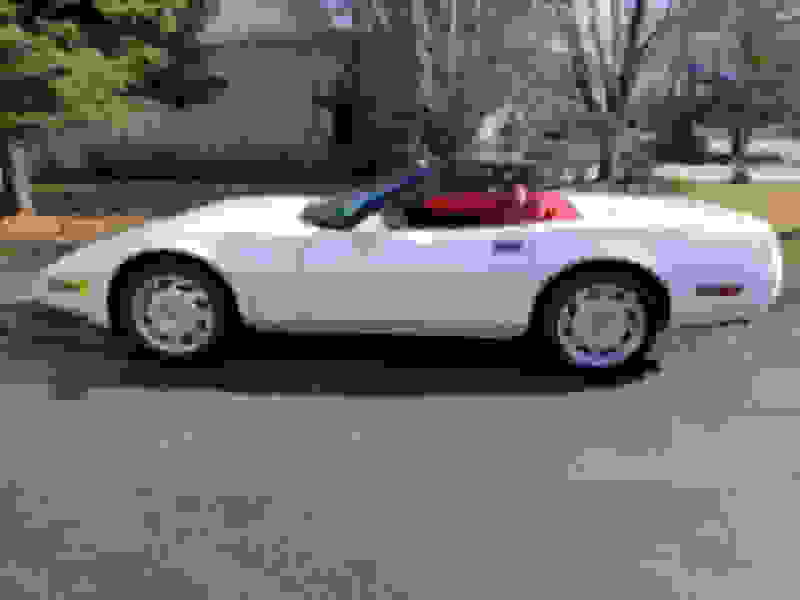 I just purchased a 94 convertible 28k miles, sport seats, automatic, bose sound and surprisingly 3.07 gearing. I personally love the look of the car, great lines, ageless and the best bang for the buck. Last edited by Mrslackster; 04-08-2019 at 09:33 PM. New to this forum. I just purchased a 94 convertible 28k miles, sport seats, automatic, bose sound and surprisingly 3.07 gearing. I personally love the look of the car, great lines. I didn't think you could get 3.07's with a convertible ??? Thats how it was ordered! Nope. Depending on when my 91 takes a dump where it is prohibitive to fix, I'd be looking into no less than a C5 but realistically, I'd be tempted looking for C6 and up at this point depending on whether I could justify buying that much car for however much driving I do. Yes, all good things considered.. YES....I still think it is one BEAUTIFUL car. ZR1 is the one I will buy next. Hopefully a 95 like my other C4. I searched for months and was happy to buy a one owner 40,000 mile perfect car, in RED also...haha. I have owned over 300 cars and never owned a Vette. I wanted a C3 or C4. My friend had a C3 and it was just too clunky and noisey. I will still get a C3 or two some day but it will be a 70-72 car. So yes, I would DEFINITELY buy another C4. Have a C3 and a C4. At the time I was looking at C4’s back in 2001 I always wanted a 35th Anniversary C4. Would’ve loved for a 95 ZR-1 or a 96 GS back then. Both were out of my price range at the time. Still happy with my 35th but should anything ever happen to it I would consider one those two C4’s. I miss my ZR-1 and i would love to buy a LT4 but unless i become rich and have extra driveway space it’s unlikely to happen. Last edited by Anthony F; 04-10-2019 at 09:19 PM. I just bought mine and not only would I do it again, but I'm willing to put money into the one I have even though I'm sure I'm not getting it back when I sell it. I also probably won't have it that long - with two kids, the minivan apocalypse is a matter of "when", not "if" - and I'm already cringing over the day that I part with it. But I'll enjoy the hell out of it while it lasts. Dropping into that cockpit sure makes me smile every time...and yes, I think falling in / climbing out is part of the fun. If having another becomes possible some day I don't know that I would "upgrade" to another generation. I know the C5/6/7 are objectively better in a lot of ways, but they don't have the same vibe for me. I'd probably look for a late C4 again, maybe a yellow or aqua one...or anything with a ZF....or a ZR-1 if I have some real dough. Here's hoping. Quick Reply: All things considered would you buy another C4?